Bangkok Cinemas are some of the most modern in the world. 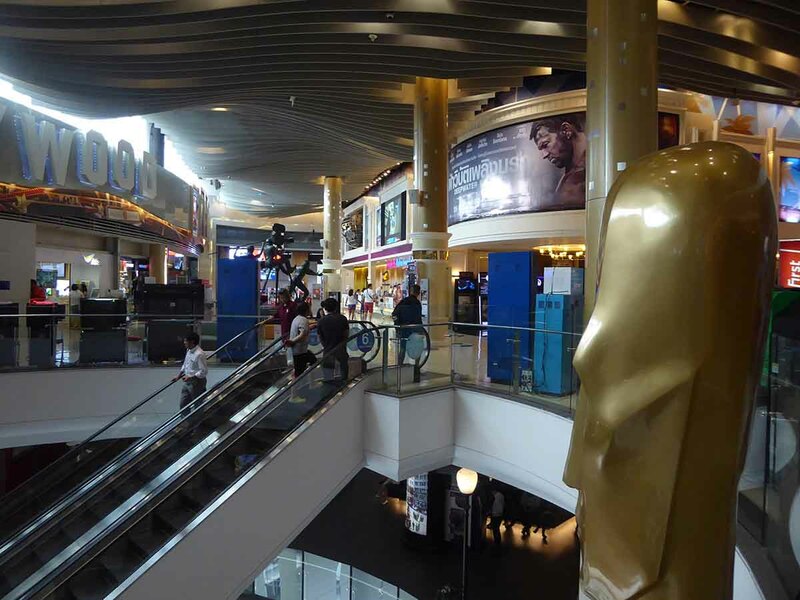 Most cinemas in Bangkok are in large shopping malls or as mini Cineplex malls which also contain bowling alleys, karaoke, and a choice of small shops and chain restaurants. 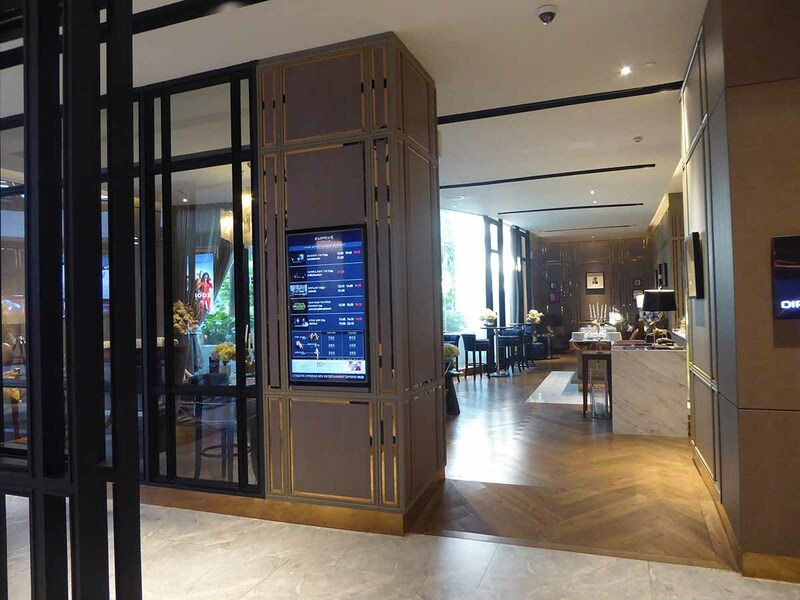 Several luxury cinemas in Bangkok include day beds, blankets & pillows, free snacks, and even bar service. The two established chains, Major and SFX both show first-run Hollywood movies often long before they arrive in Europe. 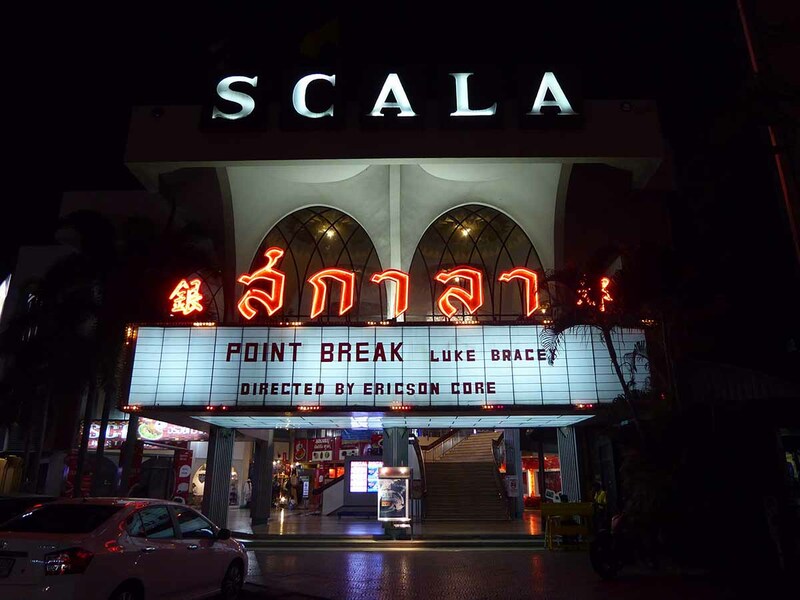 There is a vintage cinema in Bangkok, the 70’s art deco Scala which shows first-run Hollywood movies. A couple of Independent cinemas show exclusive International and art-house films. There are also several IMAX theatres showing mostly new release Hollywood blockbusters on the Imax screen. Ticket prices are cheap by western standards. Expect to pay 50-60% less than you would do in Europe or Australia. Normal prices are 200 baht up to 260 baht. 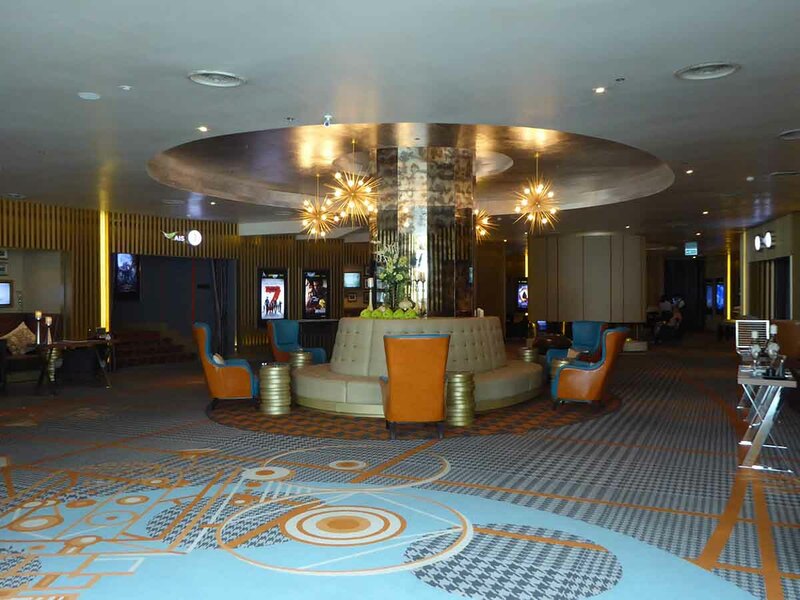 Most cinemas have a first-class theatre where prices start at around 300 baht and sometimes a luxury theatre where prices can be over 1000 baht. Cheap ticket day is Wednesday where prices are 50% cheaper. Tickets are cheaper at the Independent theatres such as the Scala who charge 100 – 160 baht all day, every day. Drinks and popcorn are also much cheaper. Some cinemas have an attached lounge with alcohol on sale. Tickets can be bought at the cinema box office or from ticket machines (credit or debit cards only). They can also be booked online. Hollywood movies are usually shown with the original English soundtrack and Thai subtitles. On the electronic show time board, look for soundtrack or ENG to signify the movie is in English. Some western movies are sometimes dubbed into Thai, TH/- or Thai Sound means Thai language only. Always stand for the Thai national anthem which plays before all screenings. It is rude and insulting to Thailand not to. Thai cinemas have vicious air-conditioning. If you feel the cold, consider bringing something that can cover exposed shoulders or arms. If you want extra legroom, most theatres have an aisle about halfway down the auditorium with a row of seats removed. Select a seat facing the aisle here and you will have ample space to stretch out. Don’t put your feet on the seat in front of you. It is extremely offensive to any Thais who are sitting in it or next to it. Turn your mobile phone off or put it on silent. The film usually starts about 20 minutes after the official Showtime due to adverts and previews. Where to watch a movie in Bangkok? Read on. Major Cineplex has several central locations. The Siam Paragon Cineplex has 15 screens. Normal ticket prices range from 200 – 300 baht while the luxury cinemas are 900 baht. 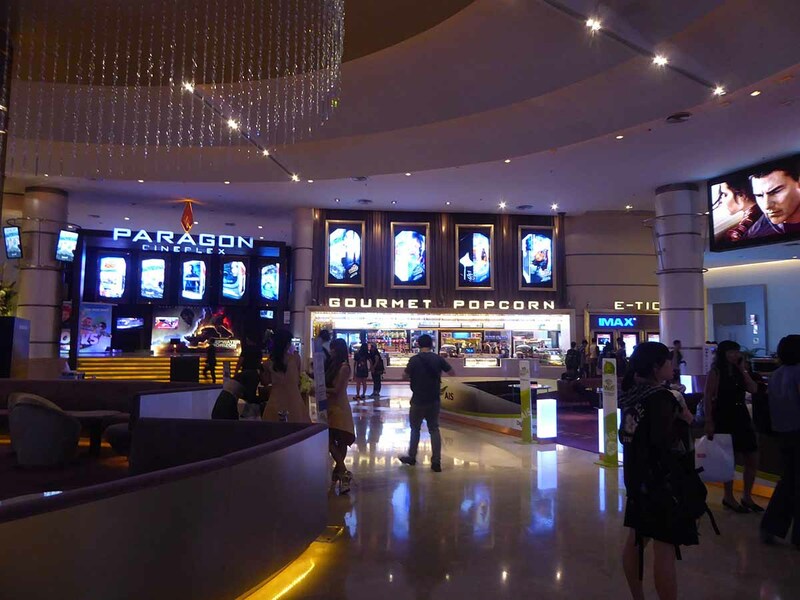 Both Paragon and CineArt have luxury and IMAX theatres. Paragon Cineplex, 5th floor, Siam Paragon. BTS Siam. 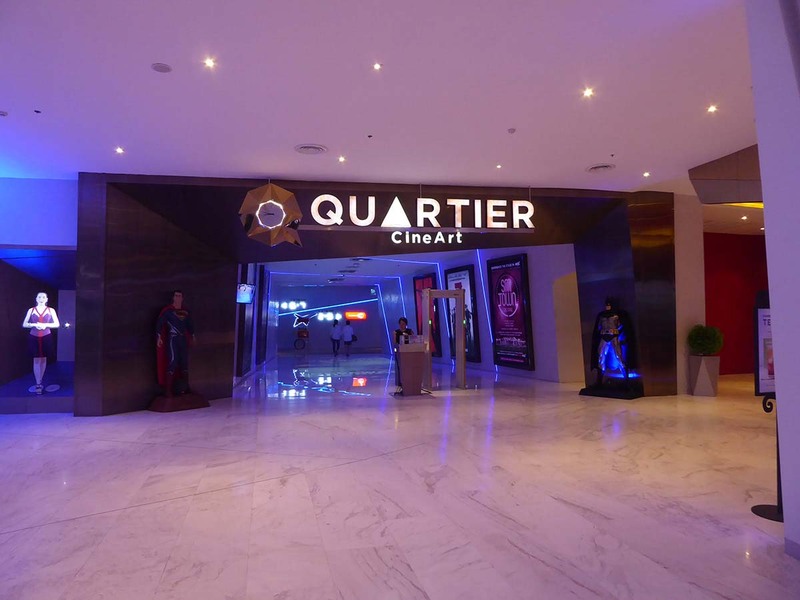 Quartier CineArt, 4th floor, EmQuartier. BTS Phrom Phong. Major Cineplex Sukhumvit. Sukhumvit Road. BTS Ekkamai. Major Cineplex Samsen (for Khaosan), 4th floor, Supreme Building, 1024 Samsen Road. Bus No. 3, 51 from Khaosan Road – board on Samsen Road Soi 1. 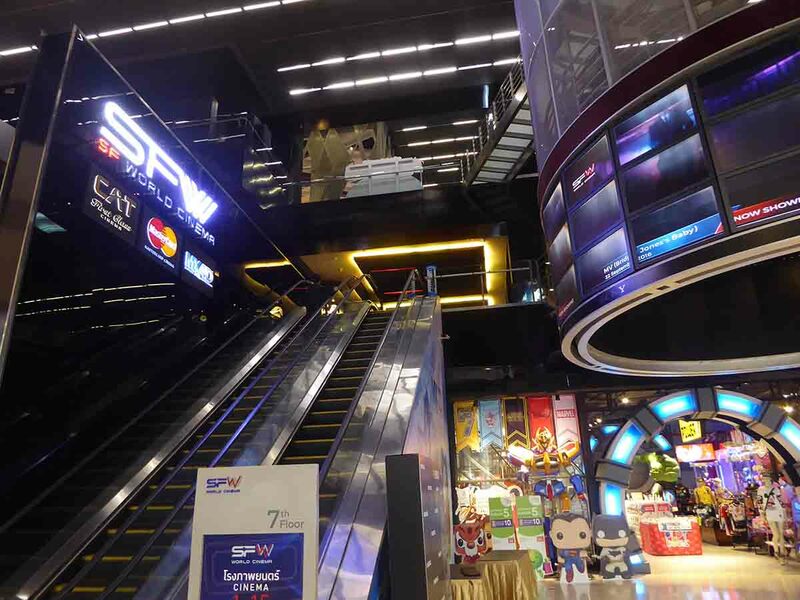 The SF Central World Cinema is the largest of the SF chain and has 15 screens. Ticket prices range from 200 baht – 260 baht for normal seats and are 700 baht for the two first-class theatres. SF central world often shows a few less commercial movies along with the blockbusters. There are regular exclusive showings and there are several film festivals held during the year including International, Asian and European events. SF World Cinema, 7th floor, Central World. BTS Siam. SF Cinema MBK, 7th floor, MBK. BTS National Stadium. SF Cinema Terminal 21, 6th floor, Terminal 21, Sukhumvit Road. BTS Asoke, MRT Sukhumvit. SF Cinema Central Rama 9, 7th floor, Central Plaza Rama 9, Ratchadaphisek Road. MRT Rama 9. The Scala cinema opened in the late ’60s and hasn’t changed much in style since. It’s a completely retro experience from the hand placed red letters displaying the current feature above the entrance, to the staircase leading to the classic art deco foyer with giant chandelier, to the tickets with your hand-written seat number, to the ushers in bow ties who show you to your seat, to the old-style velvet seats. The only thing that’s missing is 1970’s style pearl and dean adverts before show time. Not everything is old, though, the theatre is air-conditioned, seats are comfortable and the sound and vision technology is bang up to date. Seating is in 3 zones with the cheapest tickets at the front and the most expensive at the back. Ticket prices range from 100 – 160 baht all day every day making it the best value ticket in Bangkok along with the 30-baht popcorn. A visit to the Scala isn’t just about seeing a movie but experiencing a trip down memory lane to a time long past. Location: Siam Square, Soi 2. House Rama is an Independent cinema in the RCA nightlife district. It shows art-house movies with an International flavor. 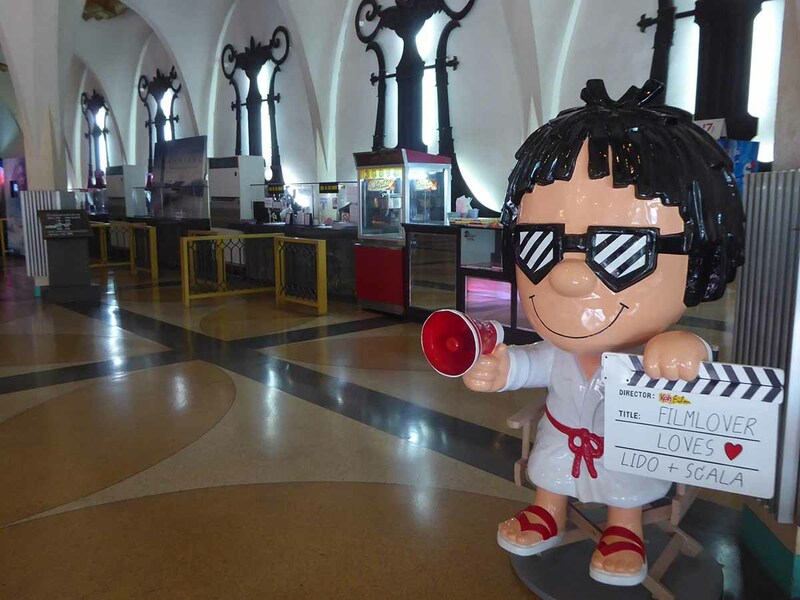 There are two theatres each showing a different program of up to 3 different movies daily. All screenings feature the original soundtrack with Thai and English subtitles if needed. The cinema has a small snack bar and a shop/library featuring art and film books and DVDs. The theatres are small but comfortable with excellent sound and vision. Ticket prices are a low 100 baht. There are cafe’s in the plaza below and in the evenings a short walk will bring you to some cool bars and clubs on the RCA strip just a few minutes walk away. Location: 3rd floor, RCA Plaza, RCA Alley (off Phetchaburi Road). Getting There: MRT Phetchaburi Station (exit 1). Turn left into Phetchaburi Road and take a taxi or Motorbike to RCA (50-60 baht). 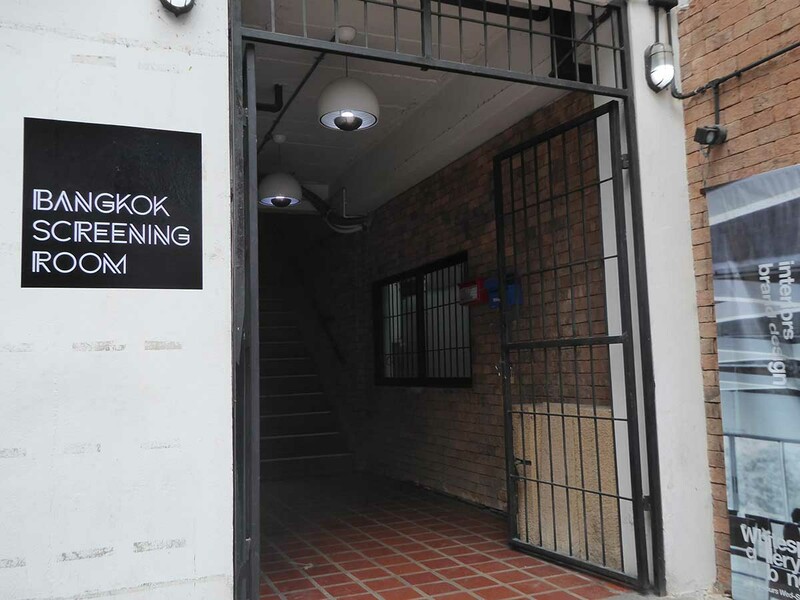 The Bangkok Screening Room is a small 50 seat screening room focusing on alternative and Independent films, documentaries, retrospective classics, and specific themes and genres. The location is a four-story building a short 10-minute walk from the MRT. There is a lounge bar with food and drinks and a gallery next door. There are also a few good bars and restaurants just outside. Ticket Prices are Adults 300 baht, Children 250 baht. Location: 2nd floor, 8-9 Soi 1, Sala Daeng Road, Silom, Bangkok. Opening Hours: 15.30-24.00 Tuesday-Friday, 11.00-24.00 Saturday-Sunday. Closed on Monday. Getting There: MRT Si Lom Station (exit 2). Walk up Rama 4 road and the Screening Room is on the corner of Sala Daeng Soi 1 opposite the 7-11. The Emprive CineClub is on the 5th floor of the Emporium Mall. 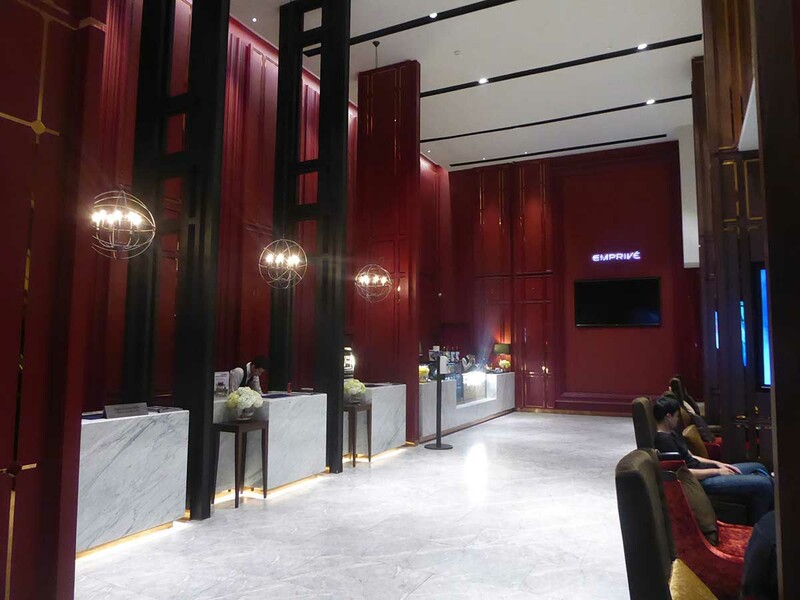 It contains five small theatres with a choice of different class seats ranging from executive at 300 baht to first class at 950 baht. Tickets are cheaper on Wednesdays. There are blankets and pillows for all classes though first class ticket holders have access to a bar and lounge with a complimentary snack buffet. Location: 5th floor, Emporium Mall. Getting There: BTS Phrom Phong (exit 2). 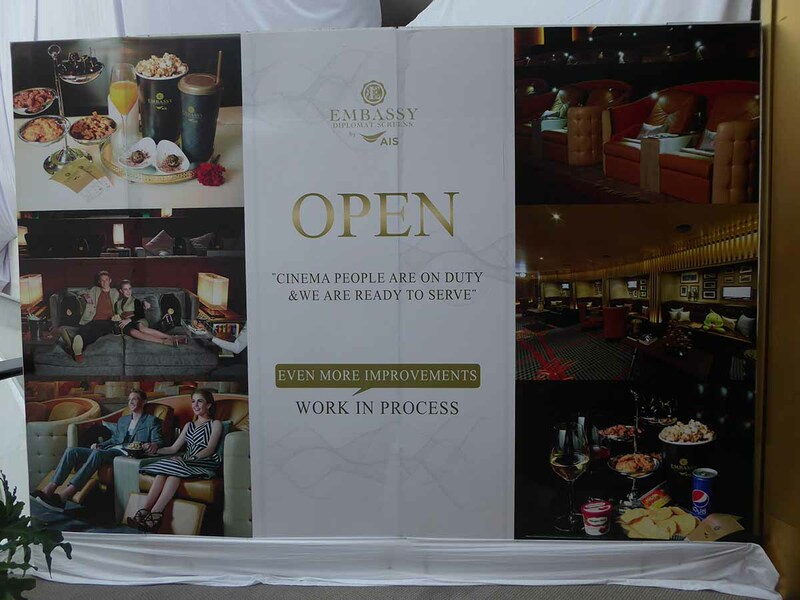 The Embassy Diplomat Screens are probably the most luxurious cinema experience in Bangkok. 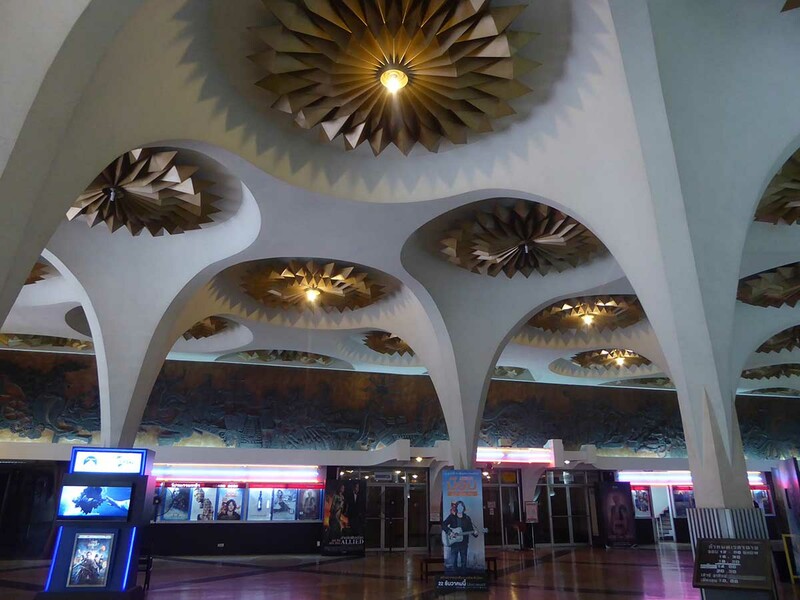 There are five theatres equipped with the most advanced projection and sound system. The seats come in different styles from first-class airline seats to 2 seater sofas and beds with a private bar, complimentary snacks, and a butler service. There are blankets and pillows for all classes as are multiple language headphones. The concept is to recreate an intimate living room experience. Tickets are 900-1200 baht per person. Location: 6th floor, Central Embassy Mall. Getting There: BTS Phloen Chit (exit 1). Follow the walkway to Central Embassy.